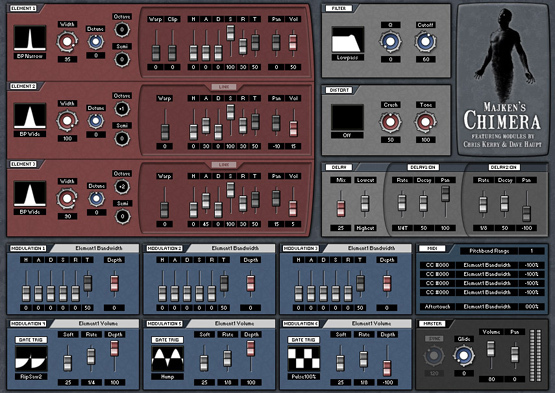 Thanks for showing interest in my plug-ins! I make instruments and effects as a creative pastime in SynthEdit and Reaktor. Chimera is a noise driven synth focusing on pads and haunting leads. White noise generators are connected through three pitch-controlled resonant bandpass filters. 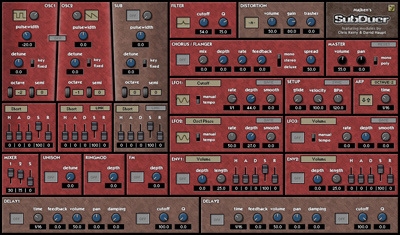 Grizzly is a drum sampler with built in filters, effects and modulation. It was made for the 2006 KVR Developer Challenge together with Edward "Cyan" Blake. 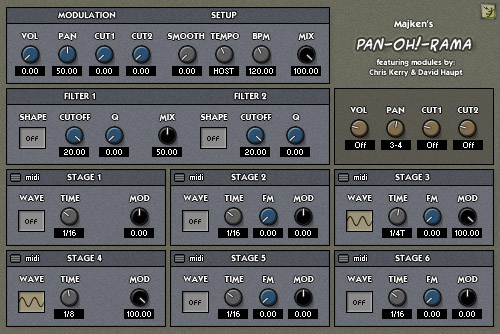 Pan-Oh!-Rama is a dual filter effect modulated by six tempo sync-able lfo's. 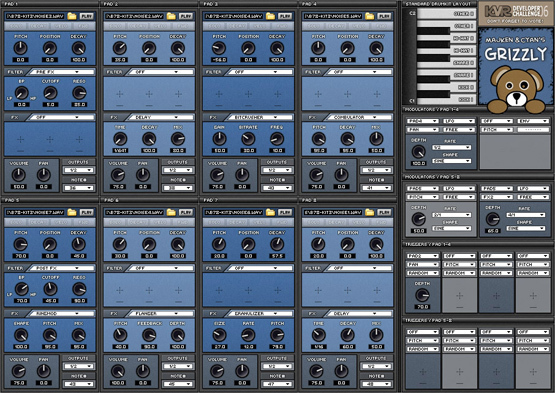 Effects range from a mix of autopan, tremolo and filter sweeps to pure fm-madness. SubDuer is a triple oscillator subtractive synth aimed at creating a versatile synth with a low CPU usage. SubDuer can do basic unison, ringmod and fm sounds and comes with built in distortion, chorus/flanger and delay. Disorder is a stutter effect that samples and loops incoming audio. Rhythmic effects are created by adjusting loop time, pitch and playback direction. Disorder was never finished and is likely to be a bit rough around the edges.